THE cream of the crop of Philippine sports in the past year take centerstage when the Philippine Sportswriters Association (PSA) holds its Annual Awards Night presented by San Miguel and MILO at the LE PAVILLON in Pasay City on Monday. 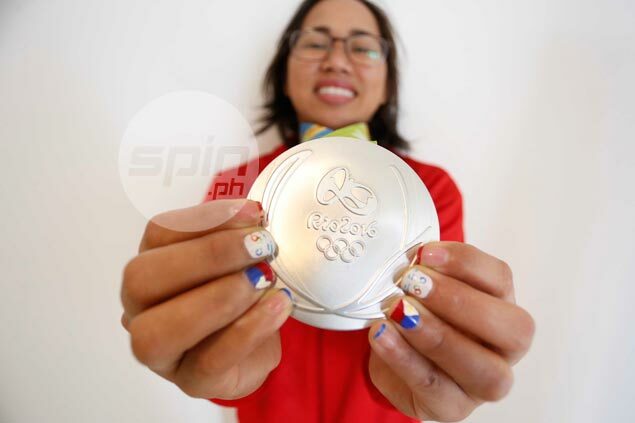 Hidilyn Diaz, whose silver medal in the Rio De Janeiro Olympics gave this country its proudest moment in 2016, will be recognized with the Athlete of the Year award, the highest honor bestowed by the country’s oldest media organization first established in 1949 and currently headed by president Riera Mallari of The Standard. The 25-year-old pride of Zamboanga City leads 91 other personalities and entities who are also going to be honored during the formal gala night co-presented by CIGNAL/HYPER HD. Awards proper starts at 7:30 p.m. to be hosted by Quinito Henson, Patricia Bermudez-Hizon, Carla Lizardo, and Steph Ongkiko. Philippine Olympic Committee (POC) president Jose ‘Peping’ Cojuangco and Philippine Sports Commission (PSC) chairman William ‘Butch’ Ramirez lead the local sports community in paying homage to all the stars of the affair being held in partnership with the PSC, Smart, Phoenix Petroleum, Foton, ICTSI, Globalport, Mighty Sports, and Rain or Shine. Notable titles to be handed out are the Lifetime Achievement Award (Eugene Torre), President’s Award (Milo Rivera), Executive of the Year (Philip Ella Juico), and National Sports Association of the Year (Philippine Athletics Track and Field Association). Posthumous award will also be extended to beloved sports personalities who passed away over the past year led by legends Carlos ‘Caloy’ Loyzaga, Virgilio ‘Baby’ Dalupan, and Filomeno ‘Boy’ Codinera. Those who failed to receive their invitations can personally get it at the registration center of the venue during the program also backed by the Philippine Basketball Association, Federal Land, SM Prime Holdings Inc., Meralco, ACCEL, NLEX, MVP Sports Foundation, and the Philippine Charity Sweepstakes Office.